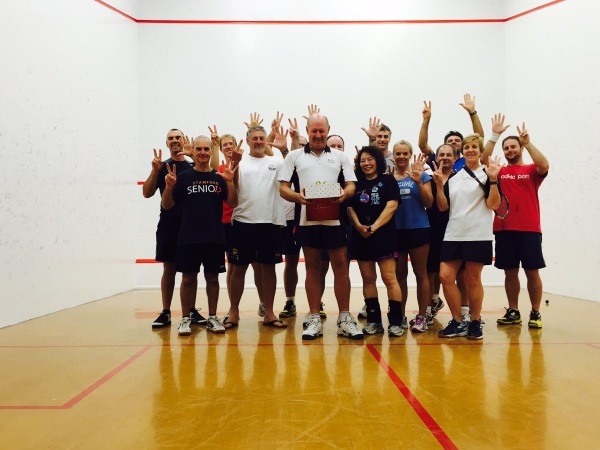 Robina Squash Club was formed in March 1990 and this month we’re proud to announce that the club has been in continuous operation for a massive 25 years! In that the time the club started quite small and steadily grew in numbers, utilising all four glass backed courts provided by Bond University and participated in inter-club competitions across the Gold Coast. Over the last decade, Robina Squash Club hasn’t competed in inter-club competitions and has instead focused on a more social orientated club format using the two glass backed squash courts, which has been an inviting and helpful place for players of all ages and skills. I’d like to thank everyone who has been involved with the ongoing operation of the club such as Phil Touliatos, Mark Cawthan, Paula Kimlin and a raft of senior members past and present including Murray Robinson, Peter Barr, Tim Brown, Karen Chan, Julie Free, Jo Carsten and many others. It is through the help and support of the members of Robina Squash Club that we’re able to keep operating with low overheads, offering a fun and friendly environment each week to get out on the squash court and hit the balls.